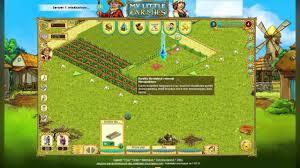 My Little Farmies is another take on the ever popular farming MMO genre, with this free to play browser game having been developed by Upjers. 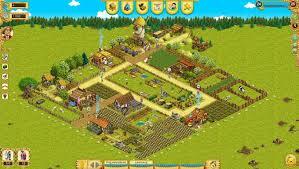 It is set in a medieval theme and has you tending to your fields, crops and animals in an attempt to generate a steady income and the resources needed to continually expand your farm.You begin with a plot of land that has nothing other than a mill placed upon it and are instructed via a tutorial given by your neighbor in the game, on how to perform some basic steps in order to help your farm develop. This is done via quests that will reward you with both experience and money and will help you to learn the games basics. 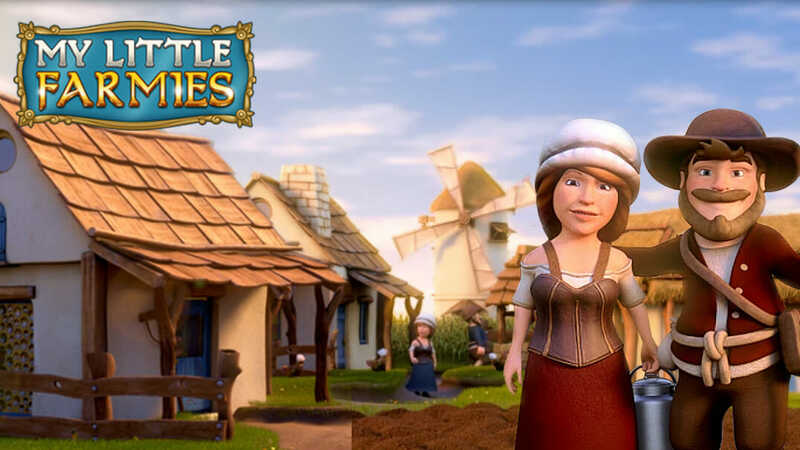 The money that you earn can be used to purchase other buildings whilst the experience earned will allow you to unlock more items and features as you level up. The further you get in the game, the more animals you are able to have on your far. This will require first purchasing the pens that are needed to house them before then purchasing the animals themselves. You will get the usual farm animals such as cows, horses, sheep and pigs but can also get others that are rarely seen such as rabbits. 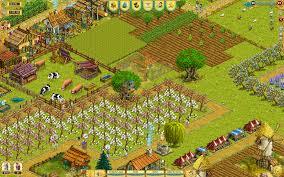 The game is not difficult at all to play and everything is pretty self-explanatory, especially if you have played farm themed games before. 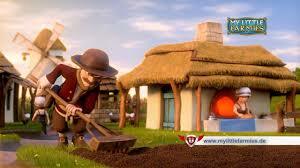 The quests are easy to figure out and can be completed quite easily with some good time management skills. The market is also easy enough to figure out and it will not be too long before you start to learn which of the products you can create will make you the most money with regards to how long they take to produce. Gold bars are the more premium currency in the game and can be used to speed up construction or growing times and can even be used to skip past certain quests. You do begin the game with a small amount and can pick up more as you level up but if you really wanted to progress through the game quickly you would have to purchase them for real money in the shop. The game allows you to add friends and even rewards you for it but these friends can also be of good benefit to you as you can trade items. They can also come o your farm and give you a helping hand on a daily basis whilst you can do the same or them. The great thing is that it is not imperative that you have friends to be able to play and enjoy the game. Everything can still be done by yourself although it may take that little bit longer. As farming games go, this one is pretty enjoyable without really bring much to the table that has not been done before. 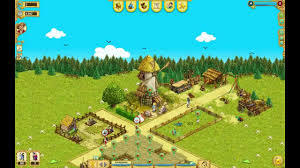 The graphics are nice and cute and the game will keep you addicted as you wait for the production of the crops and resources that you can sell. The premium features are not really anything to cry about as the game is not really a competition with no winner at the end, so if somebody wants to pay, let them as it really does not make any difference to you unless you are competing against a friend. • Been done many times before.